The Square Toe is becoming a staple with several cowgirl boot makers. 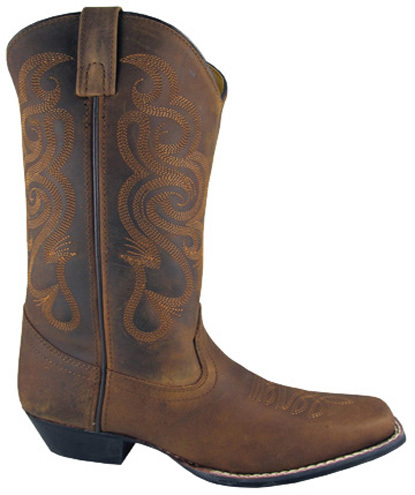 Distressed leather on the foot makes this women's western boot an easy keeper. Beautifully stitched top gives it some feminine appeal. This "Vienna" boot is sure to please! Funny how things go round. Square toe ladies cowboy boots are the rage among 18-30 year old girls today. Durable composition sole with steel shank for more support. LEATHER: LEATHER UPPER Manmade Lining.